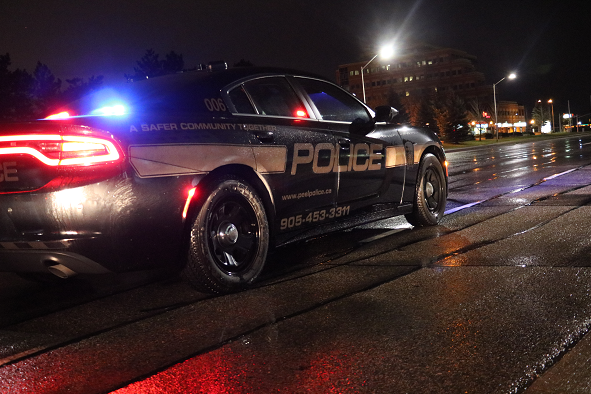 A 37-year-old Mississauga woman is seriously injured with head trauma – one of three victims who drove themselves to a Brampton hospital at 5 a.m. Monday – following an overnight altercation in the Kennedy Rd. and Clarence St. area. “They’re still assessing her injuries,” Peel Regional Police Const. Bally Saini said early Monday. Two Brampton women, 37 and 38, suffered non-life threatening and minor injuries respectively. A weapon was used in the incident. Detectives from 22 Division’s criminal investigation bureau have the case. Anyone with information is asked to phone (905) 453-2211 ext. 2233 or Crime Stoppers 1-800-222-8477.